International accolades continue to be heaped upon eThekwini and planeloads of tourists are about to arrive in the city via British Airways direct Heathrow to Durban flights. It’s the perfect time to Discover Durban’s Summer Love – which is a campaign recently unveiled by the city’s tourism authorities. 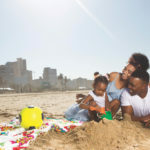 Durban Tourism Senior Marketing Manager, Sbu Zondi, says the campaign, running through to March 2019, is aimed at revitalising the city’s image in the market, to boost travel to the city, draw more visitors to Durban, and get them to stay longer. A ton of work has gone into upping Durban’s game and Durban Tourism, which reports to eThekwini Deputy City Manager Phillip Sithole, has been flying the flag at trade shows in South Africa and around the world. Programmes on the city have been flighted on National Geographic, Discovery Channel and a host of SA channels. The BA flight is a big win for the city. The inaugural flight lands on October 30 and Durban Tourism, provincial bodies and BA have run themselves ragged rolling out the public relations plan to raise awareness about eThekwini’s tourism offerings. Everyone involved in tourism is putting a shine on the city’s dazzling array of visitor experiences ahead of the landing. The popular beachfront promenade is a major focus and will be extended to run a full 10km from the harbour to Blue Lagoon, although construction on this will only be complete in 2019. 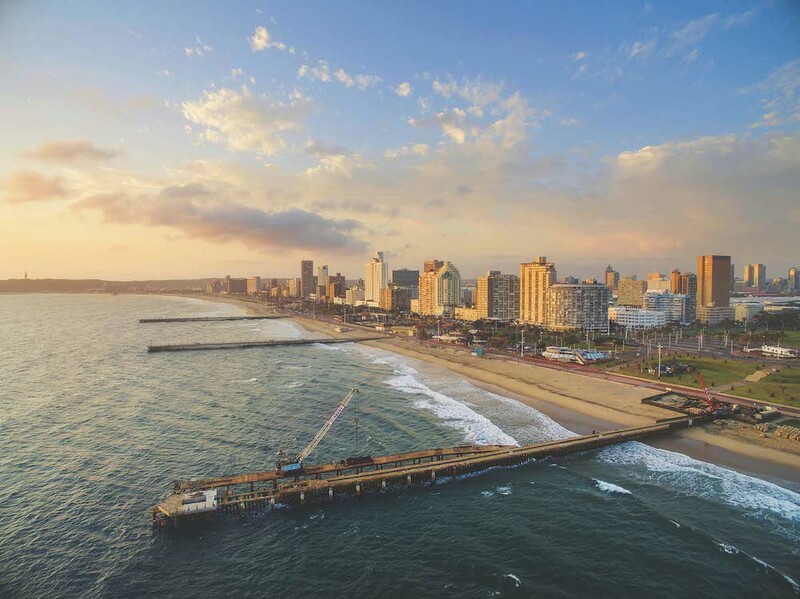 The extension of the promenade, the BA flight and tourism month have prompted much useful engagement around how to improve Durban and KZN’s tourism. The Summer Love campaign fits hand-in-glove here, with fantastic offerings for locals to be tourists in the city they love. There are countless things locals love about summer in Durban. Think a walk through the uMhlanga Lagoon Nature Reserve; a salad on the terrace at the Beverly Hills; a cocktail at the Oyster Box; picnic in Chris Saunders Park; a night out at the Chairman; a shishanyama at Max’s Lifestyle; a wander through the Mariannhill Monastery; a mosey along the trails of the Kranskop Nature Reserve; Zulu dancing at PheZulu Safari Park; or mountain biking at Giba Gorge. Durbanites could think of hundreds more cool things to do and Zondi has encouraged them to share the summer love on social media. “For Durban to flourish as a tourist city we all have to become tourists in eThekwini. We have to explore the city we love and shout about it on social media. We have to show what we know and love about our city. “Durban has a happy, healthy, fun-filled vibe, we just need to put a shine on it,” Zondi says. His views were echoed by three heavyweights in the tourism industry: Samantha Croft, the KZN head of Tsogo Sun, businessman Sadha Naidoo, former head of KZN Tourism, and John Aritho, the general manager of the Beverly Hills hotel. Naidoo says the promenade is the province’s tourism artery with the potential to compete against Copacabana in Rio, Surfers Paradise on Australia’s Gold Coast and Cannes in France. The promenade extension and Point developments would be enhanced by an iconic, must-see attraction, like the London Eye. She says you don’t have to go anywhere else if you have come to KZN. Get tourists here for a big event, like Amashova or the Tourism Indaba, and keep them here long enough to experience more of the province. John Aritho says tourism in KZN is on a growth trajectory. He believes Durban must become the Barcelona of Africa and locals need to talk and behave positively to do that. Aritho says Durban would do well to have tourism police, easily identifiable law enforcers in hotspots who enforce bylaws and ensure everyone respects their peers and the environment. 2017 – Durban Africa’s first UNESCO City of Literature. 2017 – Durban is one of the top 52 destinations to visit in 2018 by Fodor’s Travel. 2017 – Moses Mabhida Stadium is included in a Condé Nast Traveler online round-up of the 20 most beautiful places in South Africa. The Durban ICC has been awarded Africa’s Leading Meetings & Conference Centre 2017. The Hilton Durban was awarded South Africa’s Leading Business Hotel for 2017. 2017 – Durban named “SA City with highest Quality of Life” by Mercer’s Annual Quality of Living Survey. The Oyster Box Hotel voted by TripAdvisor Travellers’ Choice Awards – Voted No 1 Top Hotel in South Africa. 2017 CNN – voted Durban as one of the world’s top 10 most underrated cities.